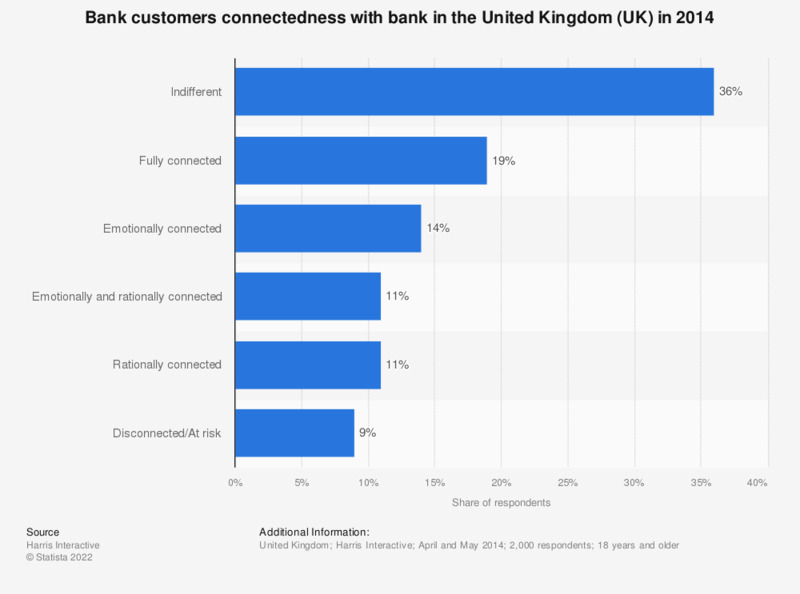 This statistic depicts the bank customers sense of connectedness with their bank in the United Kingdom (UK) as of 2014. More than half of the customers, 55 percent, are emotionally and/or rationally connected with their bank, which is a measure of consumer loyalty. Customer connectedness is used as a mesure of loyalty to one bank vs the risk of switching banks. For each one, please select if you feel you are a loyal customer to any business or organisation operating in the sector?